A relatively toothless first half from both sides was turned around by the Parisians through their moments of inspiration in the second-half as goals from Presnel Kimpembe and Kyllian Mbappe secured their victory. United on the other hand, in addition to suffering the defeat, also ended the game with 10 men on the pitch as Paul Pogba picked up a second yellow-card late into the game. While a two-goal lead is one of the flimsiest scorelines to carry forward given the dramatic history of the Champions League and Manchester United’s tendency for comebacks, this one has an added element. The venue of the night being Old Trafford means that both of the goals that PSG scored will be registered as away goals. This will pile added pressure on Ole Gunnar Solskjaer’s men who will now have to travel to France knowing that if they concede there it will be well and truly game over. In many ways, the two away goals have the potential of hurting them more in the long run than the fact that this has been the first time in 17 games that the Red Devils have failed to find the back of the net. A man who was booed for much of the first-half certainly found the perfect way to respond. The Argentine forward was repeatedly reminded by the home fans as to how his departure from Old Trafford after only a season of gametime was viewed as the worst possible form of treason. However, it will certainly sting the Theatre of Dreams to know that both the goals were created by Di Maria, the first almost entirely a result of his brilliant corner-kick and poor marking by Matic and the second through a well-timed counter-attack. The manner in which he responded to the home crowd after the first goal was scored is certainly a testament to the resentment he still carries. The first half for the home-crowd was an added woe due to the injuries that Anthony Martial and Jesse Lingard seemed to have picked up. Both forwards had to be substituted at the break and Soslkjaer will be hoping that both knocks are short-term worries. This is particularly important given the run of games that await the Red Devils. The FA Cup encounter against Chelsea and the Premier League tie against Liverpool will certainly require the full services of those two men. 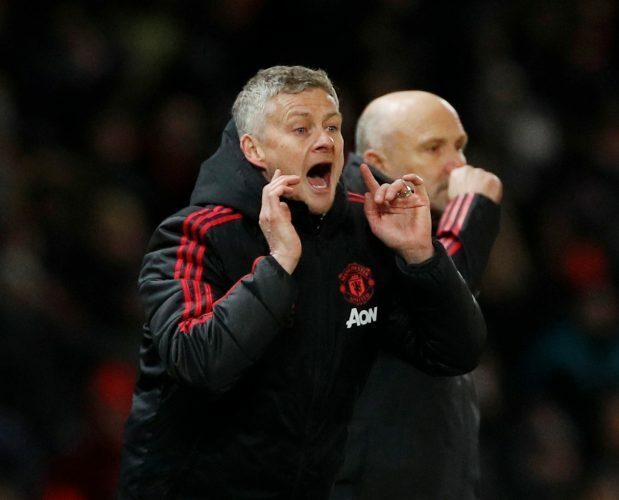 Failures in those two games could effectively undo much of the progress and hype that Solskjaer’s unprecedented run had carved out at United. Further, the suspension of Paul Pogba for the away leg of the Champions League encounter will be a hard nut to crack given how reliant the Norwegian is on the Frenchman. It is painfully ironic that the very tactic of counterattacking which was linked to be the home-side’s go-to measure turned out to be their bane. PSG were a ferociously counter-attacking side and the electric pace of Di Maria and Mbappe took out any hope that a rather haphazard United backline may have held at securing breakthroughs. This was effectively the story of the night. What will be a worrying prospect for supporters of the Mancunian giants is that this PSG team was heavily subdued, missing out on Neymar and Cavani and was fielded quite differently by Tuchel. More damage in France? All good things have to come to an end and the same is true for Solskjaer’s magical streak of unbeaten games at the helm of United. However, defeat is an important teacher and it will be interesting to see how the gaffer deals with this setback. For the supporters, in particular, this loss will be a much-needed reality check. United have had numerous flaws in their style that was highly downplayed by the Norweigan’s arrival and imminent success. Against PSG, nearly all of those flaws were on show and terribly exploited. How the gaffer deals with this will now be a more important test of his endurance in the top spot.